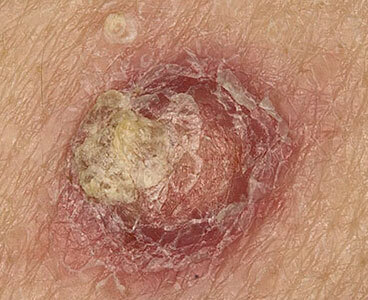 When skin cancer occurs in either basal cells or squamous cells, it is usually considered non-melanoma. These cells may either cover the internal or external surfaces of the body, or are located at the base of the outer layer of the skin. The majority of non-melanoma skin cancers develop in places like the face, ear, neck, lips and even the back of the hands. They may be fast or slow growing, depending on the type, and rarely spread to other parts of the body. 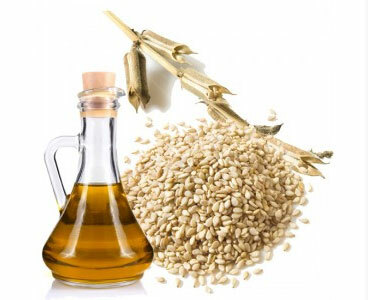 Sesame seed oil is a natural bacteria for common skin pathogens, such as staphylococcus and streptococcus. It is naturally viral and is a natural relief for inflammation. It has been known to be used as healing oil in India, and has also been used in experiments. One study showed it was useful in unblocking arteries as well as been shown, in Holland by Ayurvedic physicians, in the treatment of several chronic disease processes, including hepatitis, diabetes and migraines. Sesame seed oil is considered a cell growth regulator and may possibly slow down cell growth and replication. Some cells are nourished by fat instead of sugar in both the small intestine and the colon. By having sesame seed oil in the system, it can provide those cells with essential nourishment.